The current ISBS Newsletter 33 (2), November 2017, is now published. It is with great sorrow that I write to inform you of the passing of one of our talented and highly regarded researchers Dr Alex Milligan, Research Group in Breast Health, University of Portsmouth, UK. Alex was a regular attendee at ISBS, engaging with the student mentor scheme, presenting and playing an active role in the dissemination her research. Her contribution through her specialist knowledge and understanding of the associated concepts and constructs of breast health in human movement was excellent, and evidenced by her impressive research portfolio, including publications and presentations both Nationally and Internationally. Dr Alex Milligan was a great ambassador for her home University and her Research Group, she was a talented scientist, and from a personal perspective a friend and colleague. 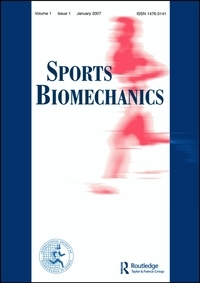 She will be sadly missed, and her contribution to ISBS and Biomechanics should be celebrated. 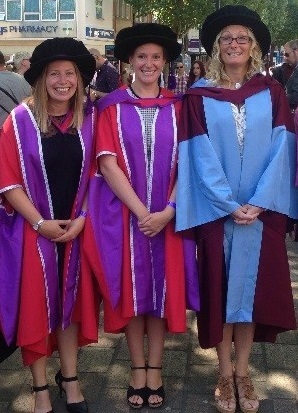 Research Group in Breast Health, Department of Sport and Exercise Science, University of Portsmouth. It is with great sadness that I write this piece in celebration of the life of one of our Researchers, Dr Alex Milligan, who passed away in February 2017. Alex joined the University of Portsmouth in 2005 as an Undergraduate in Sport and Exercise Science, followed by an MSc in Sports Performance. Alex was a conscientious scientist who wasn’t prepared to compromise, which set her up well to continue her studies into a PhD with the Research Group in Breast Health, followed by a position as a Senior Research Associate. Alex was a fantastic team player and this was evident in her prolific sporting and professional career. Professionally, Alex represented the University at conferences, winning awards, she developed an impressive publication record and generated income. During her career Alex taught and inspired others to become passionate about science. But for me, the quality I admired most in Alex was her integrity. Alex demonstrated integrity in everything she did, from sport, to relationships, to work. Integrity is the foundation of science, from transparency in participant recruitment, data collection, and analysis, to how we present findings. We all know that statistics can be manipulated, data removed, positive findings presented ahead/instead of negative findings, but scientific integrity should underpin everything we do as scientists. Alex was one of the most honest, meticulous, conscientious scientists I have ever had the pleasure of working with. She would triple checked everything and was not, under any circumstances, prepared to lower her scientific standards or compromise. I learnt a lot from Alex. There is no right or wrong answer in science, there is only evidence, her approach enabled and inspired the systematic, logical progression of knowledge in breast biomechanics. Alex was an honest, open, warm, considerate, beautiful, person and science is a poorer place without her. The current ISBS Newsletter 33 (1), March 2017, is now published.